Friday nights are for mushrooms! 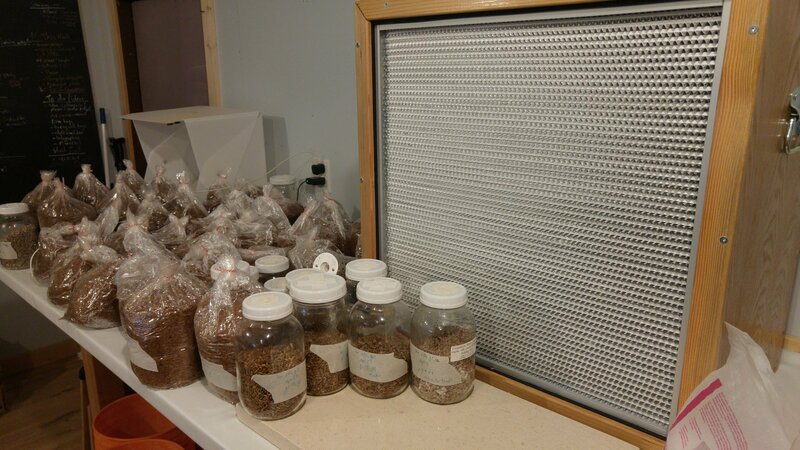 Meghan spent time in the lab inoculating sawdust and grain. Tara spent time polishing our spring newsletter (set to hit your mailboxes tomorrow)! 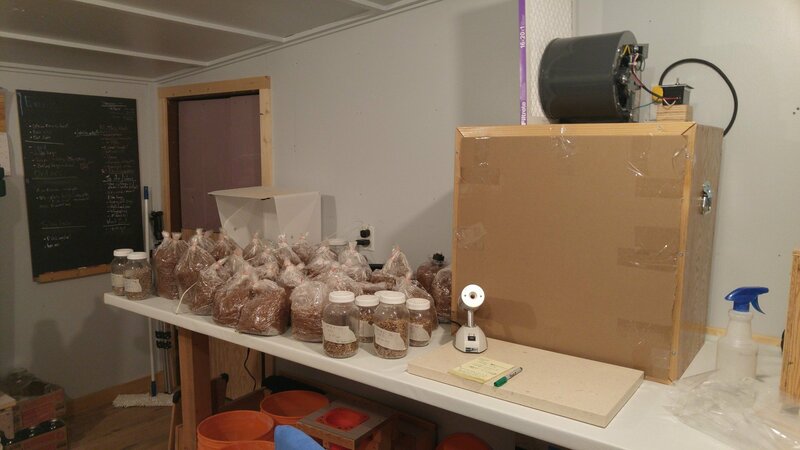 More than two years into Fungi Akuafo, the energy level and excitement about mushrooms has not faded. Every week we learn something new. Every week we meet people who are also excited about fungi. Tonight we were chatting about mycomaterial possibilities. It’s amazing to think that we have the equipment and the knowledge to experiment with something like that! PS And the new flood hood… it’s very nice not to have to worry about how high our hands are!